The Objet260 Connex1� provides precision and efficiency in a footprint that fits your office environment. Build realistic models with ultra-fine layer thickness, accuracy and smooth surfaces, as large as 255 x 252 x 200 mm (10.0 x 9.9 x 7.9 in. )- quickly and easily. 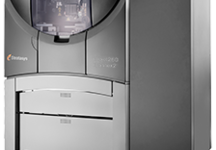 The compact Objet260 Connex 1, 2 and 3 are ideal for offices and workgroups, To increase productivity, all three 3D printers provide triple-jetting workflow advantages like hot-swap and fewer material changeovers. Select the right one for you. Further enhancing ease of use and workflow, Objet260 and the Objet350 Connex 3D printers will support VRML-exported CAD files in addition to the traditional STL; the Objet260 Connex 3 and Objet350 Connex 3 parts provide colour, multi-material 3D printing. Connex Triple-jetting Technology is now available to all with more flexibility for budget and part sizes. Triple-Jetting efficiency in a footprint that fits your office environment. The Objet260 Connex1 lets you build three-material models as large as 255 × 252 × 200 mm. With 16-micron layer accuracy and 14 photopolymers to simulate a range of material properties, you can see, touch, test and perfect every detail. 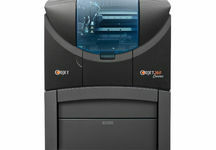 Like all Stratasys 3D Printers built on the triple-jetting platform, the Objet260 Connex1 offers great material capacity and hot-swapping capability, so you can replace an empty cartridge without interrupting your print job. 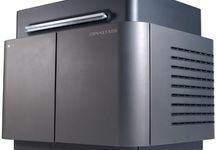 For higher volumes or bigger parts, larger Connex1 systems are available in the stratasys Production Series. Three different model materials can be loaded simultaneously in the high-capacity material cabinet, and can be hot-swapped.